Energy Star qualified kitchen appliances, outdoor patios or indoor solariums. 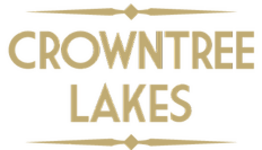 Crowntree Lakes is close to shopping, dining, entertainment, and has easy access to 417. Pet Policy: We welcome 2 pets per home. There is a $200 pet fee per pet (non refundable) and a $20 per month pet rent per pet. Breed restriction apply. Please call our leasing office for details. Parking Comment: Permit parking only. Visitor parking available. Garages are available for rent, attached and detached garages surface.